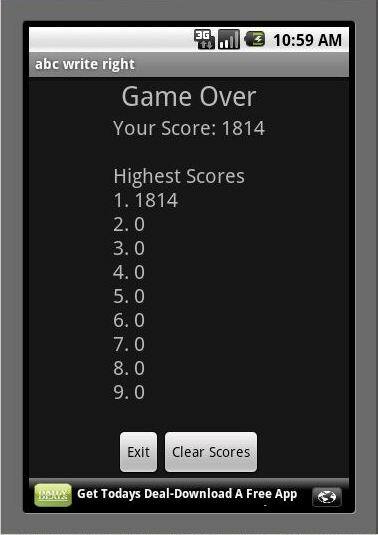 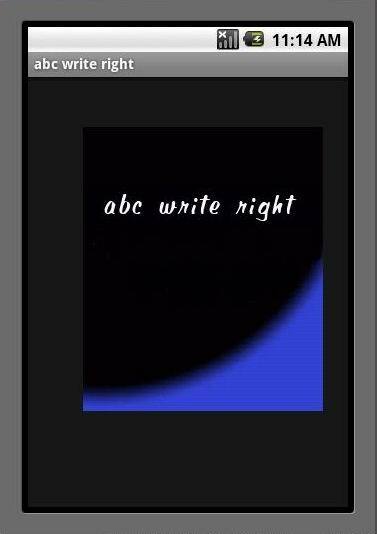 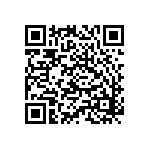 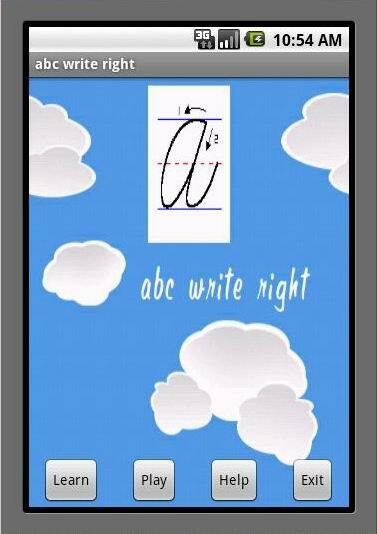 Mobile development firm TurtleMob, has released "ABC Write Right", a new Educational Game in the form of software application targeted at mobile phones with Google Android operating system. 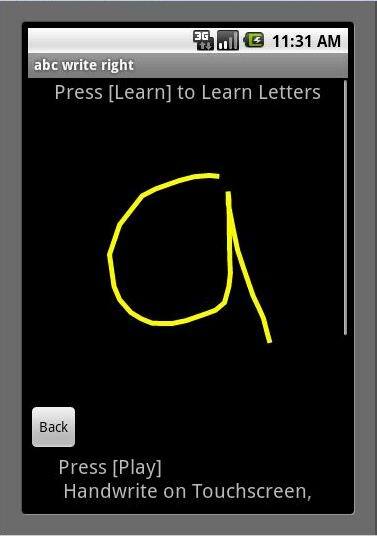 Based on the latest "Gestures Recognition" technology, this free application enables users to write letters with their finger on the touchscreen and then recognizes them using powerful handwriting recognition algorithms. 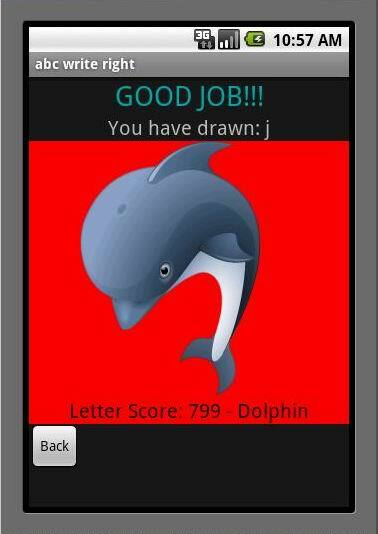 Kids, Students and Pupils will enjoy playing this game: they can learn how to handwrite letters following the easy step to step examples. 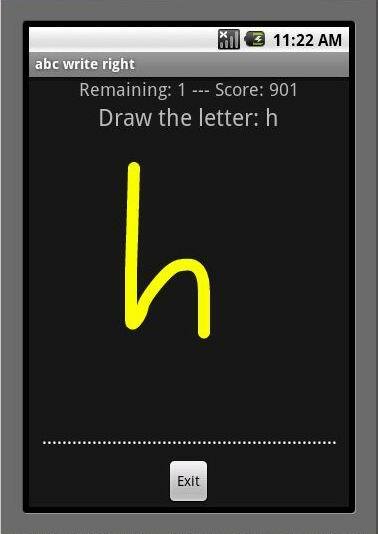 The Mobile App will challenge them to write correctly the letters using theis fingers on the Android Touchscreen as with a pen on a canvas. 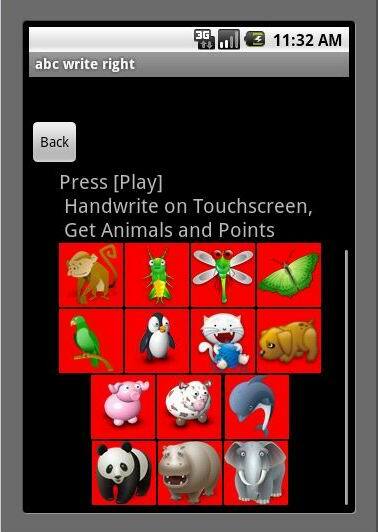 Players will win points and funny Animal Eye Candies depending on the correct answer and the similarirty level achieved with the target handwritten charcaters.